In Middleburg Heights, OH, there are many different events that can result in water damage for property owners. Severe weather can cause leaks, burst pipes, and flooding, while sewage backups and other internal events can wreak havoc. 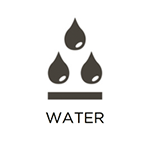 At RestorationMaster, we offer comprehensive water damage restoration services to address these events. We will extract all excess water and moisture using advanced equipment and techniques and restore affected areas and belongings. Fires are truly the stuff of nightmares. They can begin seemingly out of nowhere and result in tremendous levels of damage. Even if the fire is not large, the resulting smoke and soot can result in the etching, discoloration, and permanent damage of surfaces and belongings. 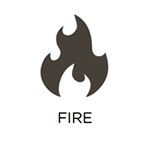 At RestorationMaster, we offer comprehensive fire damage restoration services to property owners in Middleburg Heights, OH, to address these situations. From stabilizing your building to restoring precious belongings, we have you covered 24 hours a day, 7 days a week. Residents of Middleburg Heights, OH, have the blessing and curse of experiencing all four seasons. This means that they are exposed to a variety of weather events that can result in property damage throughout the year. 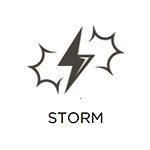 At RestorationMaster, we offer storm damage restoration services to get you through these events. Whether heavy wind and rain batter your windows and siding, a blizzard freezes your pipes, or hail damages your roof, we will address the problem in a swift and effective manner. 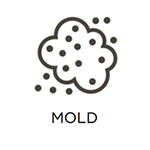 Mold can be a significant problem when it grows on your property because of the damage it can cause to your building, belongings, and health. At RestorationMaster, we offer complete mold removal services in the Middleburg Heights, OH, area to assist you through these situations. Our specialists will locate all traces of mold, contain it, and then remove it. We will also repair and restore affected areas in the process. At RestorationMaster, we offer trauma and crime scene cleaning services to return your property to normal conditions following a serious accident or violent crime. 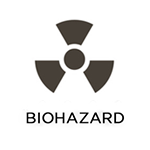 In these events, dangerous biohazard materials are present that can lead to the spread of infections and diseases when mishandled. We utilize proper equipment and processes to dispose of these materials and disinfect your property. We offer these services to property owners in Middleburg Heights, OH. Severe accidents, chemical spills, sewage backups, and more can all result in the spread of harmful biohazard materials on your property. These substances contain pathogens that can result in the contraction of infections and diseases. For this reason, governmental bodies require that specific disposal procedures be followed. At RestorationMaster, we abide by these rules and regulations through our biohazard cleaning services. We are proud to decontaminate and restore affected properties in Middleburg Heights, OH. Commercial property damage can be devastating and costly to owners. At RestorationMaster, we offer efficient and effective commercial restoration services to get you back on your feet swiftly. We understand that each day spent recovering is another day of lost revenue. Whether your building and assets are damaged by a fire, flood, storm, or other event, we have the resources and skill set necessary to restore your property. We offer these services to commercial property owners in Middleburg Heights, OH.